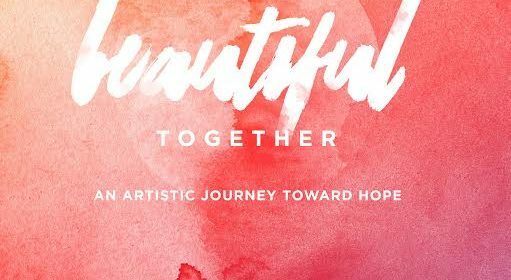 Orlando, FL – Local artists announce a benefit performance Beautiful Together, an artistic journey toward hope at 8 p.m. on Tuesday, June 28, in the Walt Disney Theater at Dr. Phillips Center for the Performing Arts with all proceeds going to OneOrlando Fund. Tickets are $15, $25 and $45 and go on sale at 10 a.m. on Wednesday, June 22, 2016, and may be purchased online at drphillipscenter.org, by calling (844)‪513-2014 or by visiting the Dr. Phillips Center Box Office at 445 S. Magnolia Avenue, Orlando, FL 32801 between 10 a.m. and 4 p.m. Monday through Friday, or 12 p.m. and 4 p.m. Saturday. Additional donations will be accepted at the event. The impact of the shooting at Plaza Live followed by Sunday’s tragedy deeply affected the arts community. The Monday morning after the tragic weekend in Orlando, local artists met to share their grief and then to plan a way that they could use their expression to support the community, the first responders, the victims and their families. Led by Joshua Vickery of Central Florida Community Arts, Cole NeSmith of Creative City Project, Mitzi Maxwell of Mad Cow Theater, Robert Hill of Orlando Ballet and Eric Jacobsen of Orlando Philharmonic Orchestra, over 50 arts groups are coming together to create a memorial event with a wide range of artistic styles. The evening will include a mass choir, orchestra, dance and theater pieces all performed by local arts groups. This artistic collaboration will likely be the first among many by local artists who were deeply impacted by the loss of their friends and colleagues. DR. PHILLIPS CENTER FOR THE PERFORMING ARTS ANNOUNCES DIANA ROSS PERFORMANCE Appearing at the Walt Disney Theater February 11, 2015.